Coconut, kaffir lime and lemongrass mackerel with green paw paw and soft herb salad, sweet potato vermicelli, chilli jam and cashews. 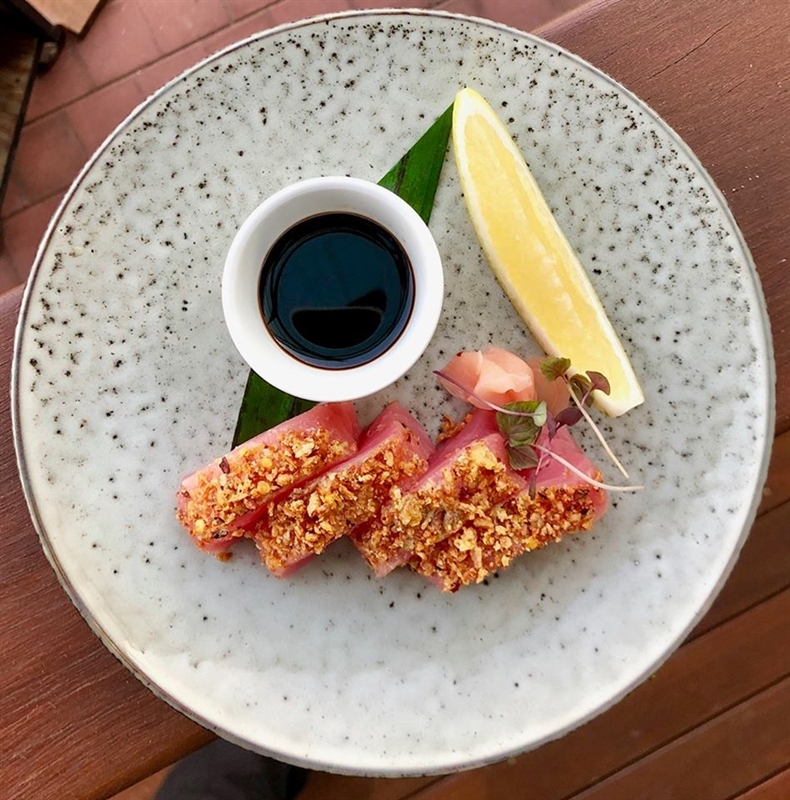 Established in 1997 on the shores of Fannie Bay, Pee Wee’s at the Point offers a remarkable dining experience in Australia’s Top End. 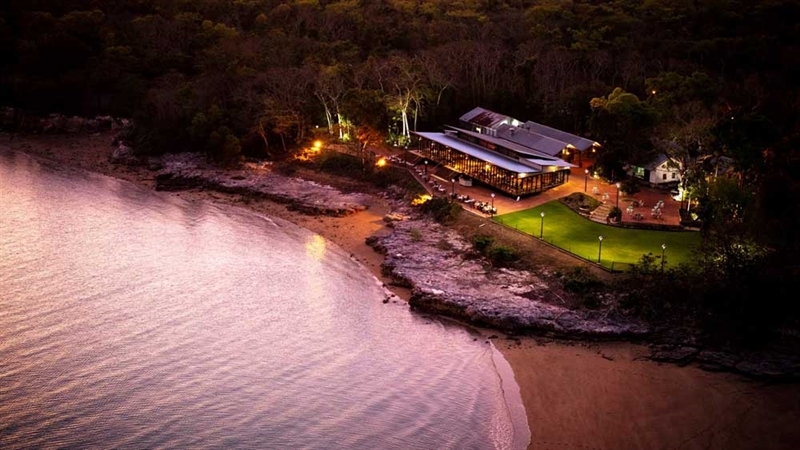 Relax amid lush tropical surrounds while taking in gentle sea breezes and breath-taking sunset views over Darwin Harbour with a cocktail in hand. 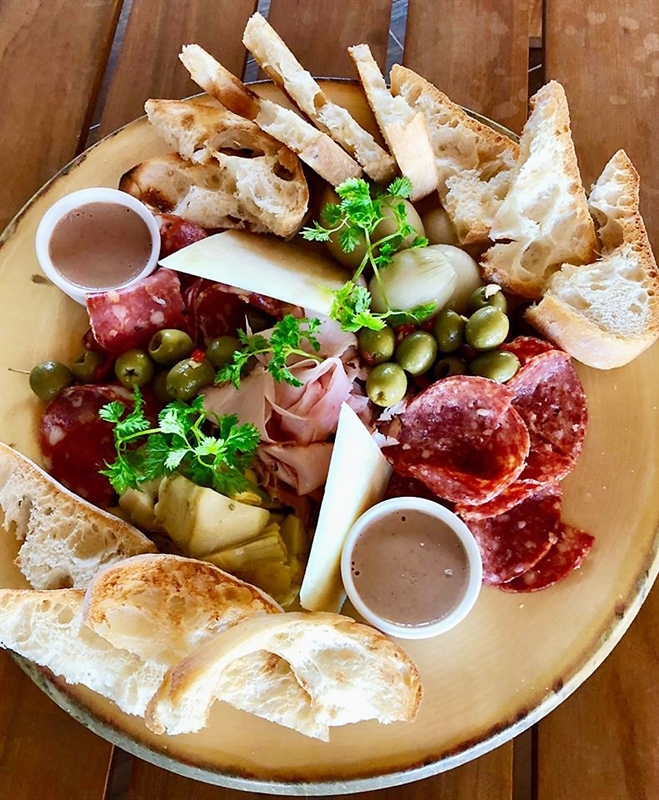 For hungry visitors, Pee Wee’s extensive menu matches this laidback setting perfectly, combining the region’s fresh produce to create ‘Modern Territorian’ cuisine. 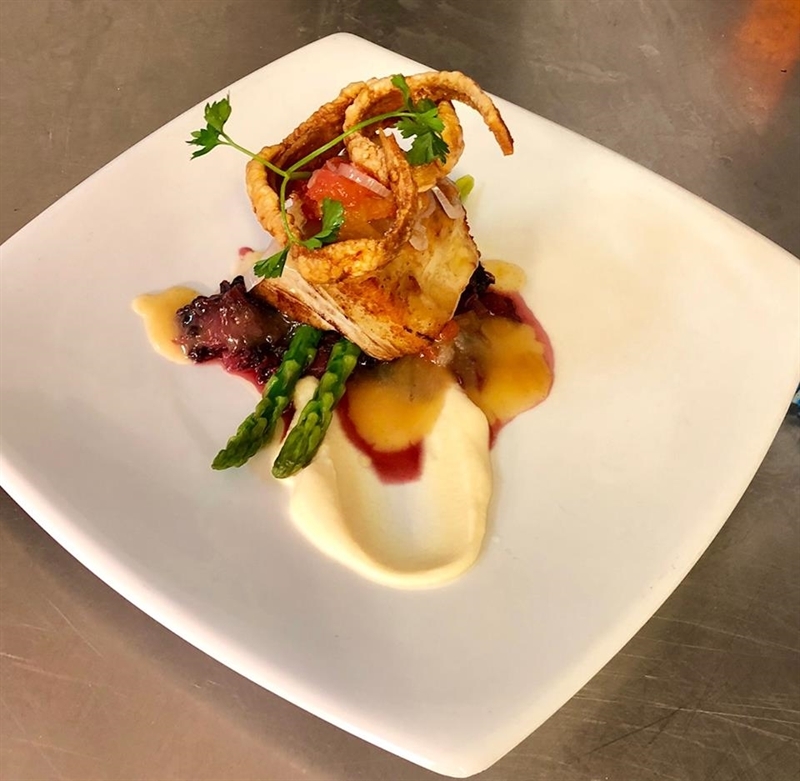 Begin your Northern Territory gourmet tour with dishes of spicy Threadfin salmon wings with lemon butter sauce, or blackened zucchini with corn puree; before wild thyme confit pork belly with celeriac cream, apple cider jus and crackling. To finish, be sure to save room for decadent delights like Fifty Shades of Chocolate with ice cream. 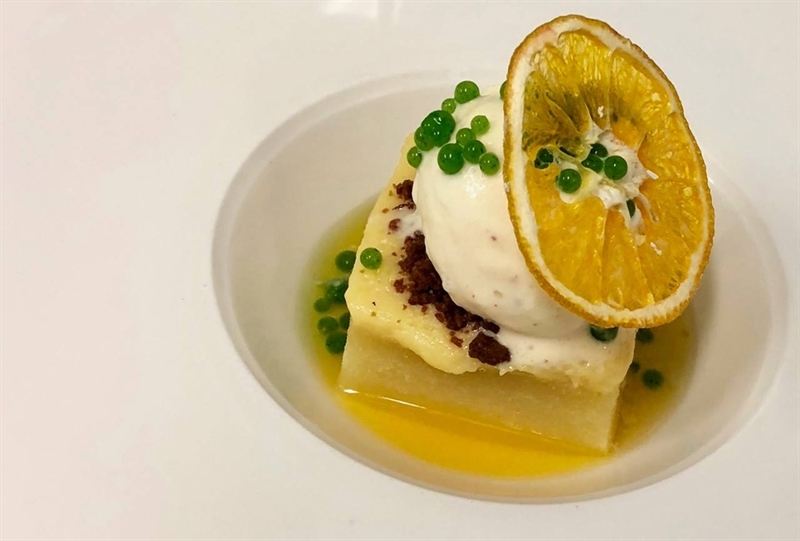 Perfect for a romantic dinner for two, or world class private or corporate function, Pee Wee's at the Point has built a reputation for first class food and service. 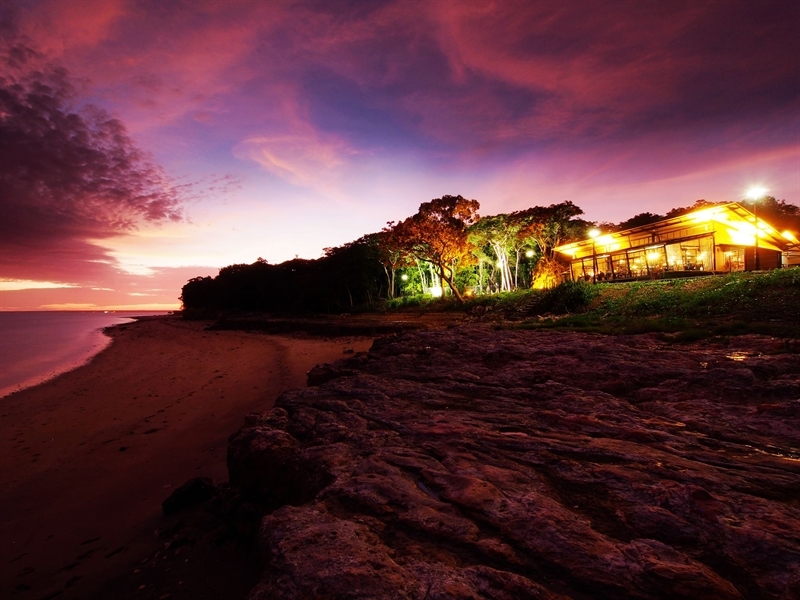 Located only four kilometres from Darwin's city centre, Pee Wee's at the Point is rich in history. 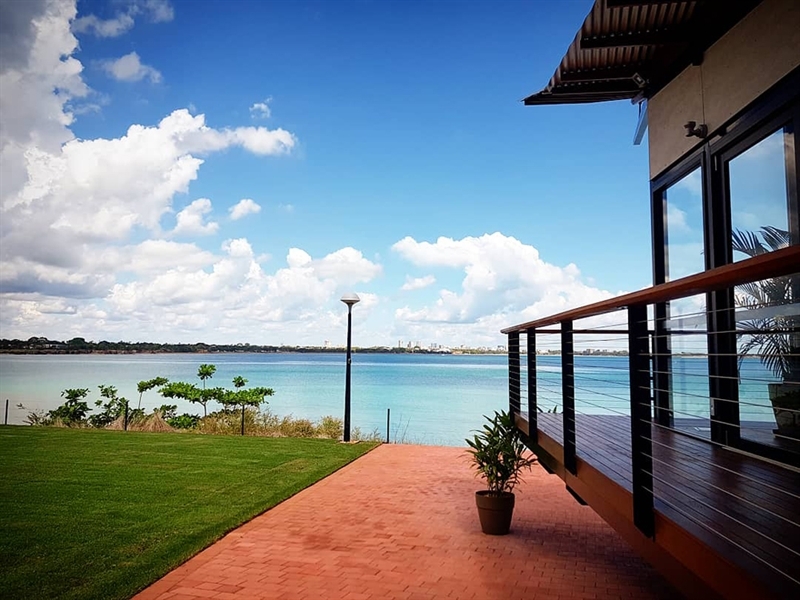 It is built on the site known as Pee Wee Camp, established in 1911 when East Point was developed by the Defence Forces to protect Port Darwin against naval attacks. It is undeniable that Pee Wees has the perfect location for a celebration. 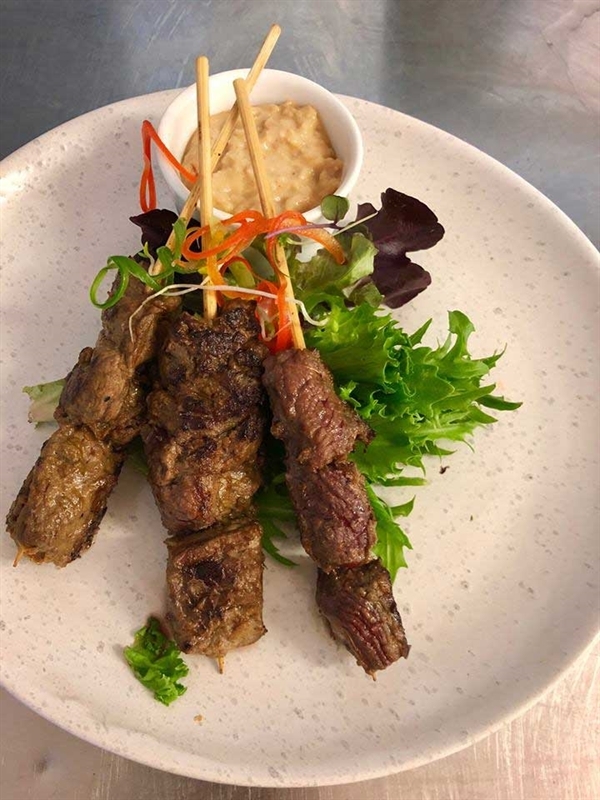 A waterside venue with stunning views and gentle ambiance, the restaurant is a blank canvas for you to create and realise all your desires. Couple this with an experienced and knowledgeable team and you have the perfect combination. 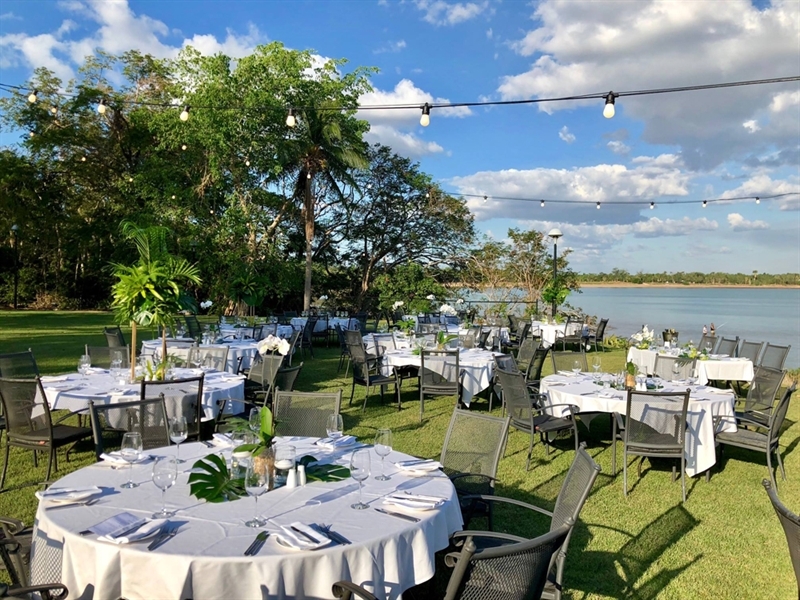 Our unique grounds and first class food and beverages make Pee Wee's at the Point the premier wedding venue in Darwin. With wedding services and packages to suit most budgets, we can cater for small intimate weddings of a few dozen to grand weddings with hundreds of guest. Our open decks and lawn areas are ideal for cocktail parties. 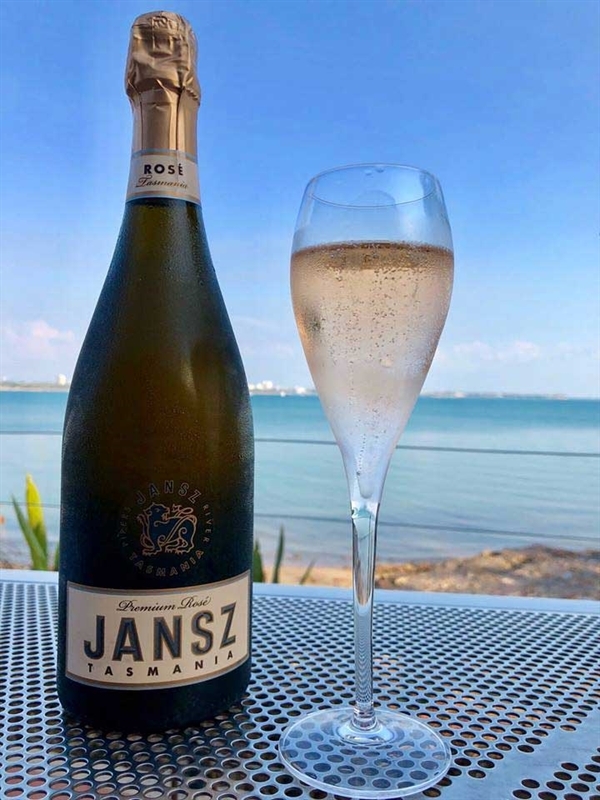 Watch the glowing effects of the setting sun over the Darwin Harbour whilst sipping an icy cold refreshment. 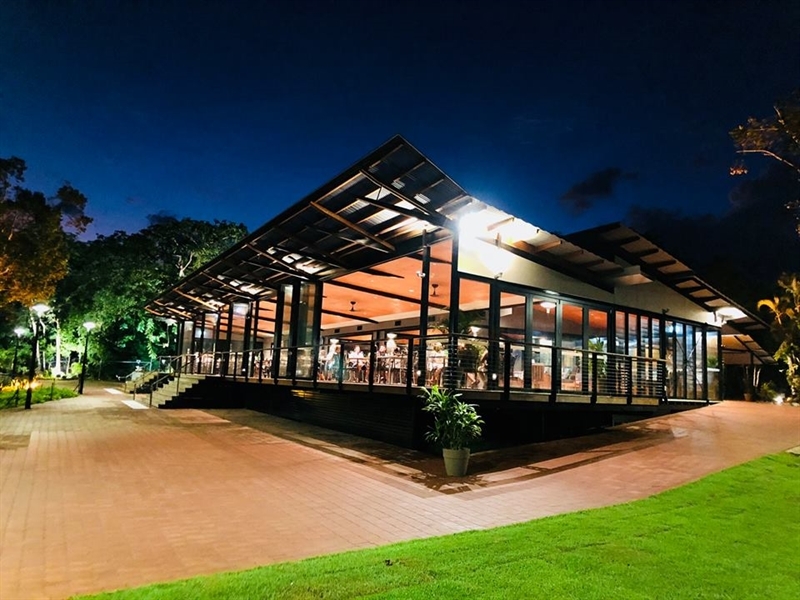 Dine under the stars surrounded by lush tropical forest with the sound of the ocean breaking in the background - a truly Darwin experience. Spoil yourself with a program of personally designed menus, food presentation, wine lists, entertainment and decoration in a magical setting. Our large lawn area allows for endless promotional events - car and trade shows, exhibitions and product launches. Hold your conference, convention, meeting or special event in a unique and friendly atmosphere. 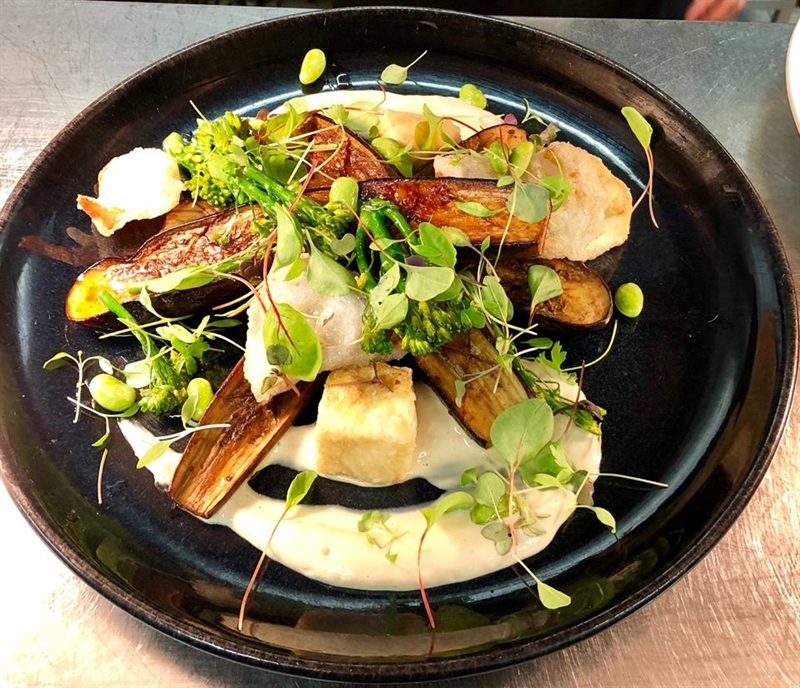 Easily best service in Darwin & stunning food on top! Arrived for early booking 6pm to see the magnificent light on the bay beyond this gorgeous restaurant setting. Everything about the experience was stunning. Complimentary touches - a superb taste on arrival and the frosty G&T sorbet were both a lovely surprise and delicious! Soft shell crab the best I've had and the duckling with tamarind just sensational. And then there's the service - it feels like every person on the floor is attentive to you - best service I've had anywhere for a very long time. This would have to be the best restaurant I have been to in Darwin. 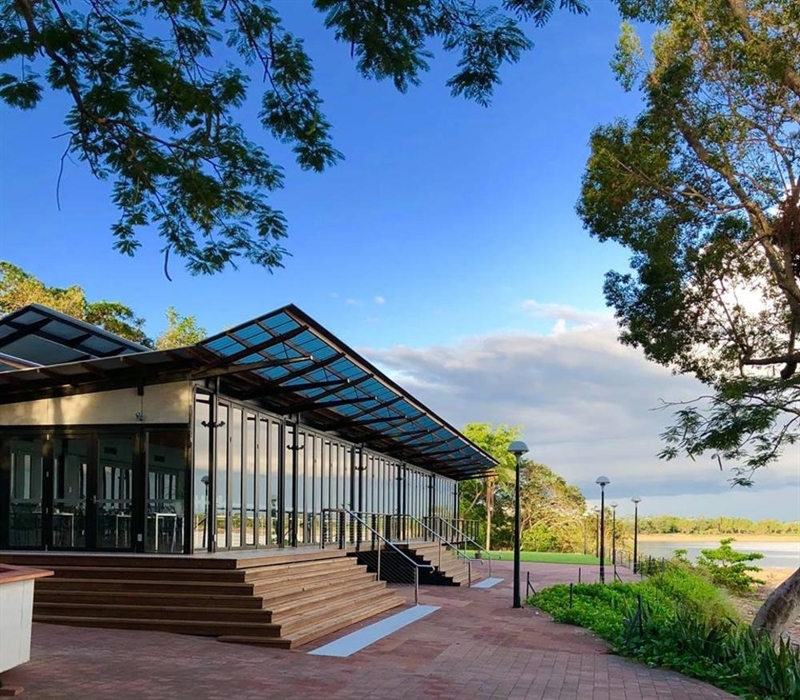 Situated in the natural beauty of East Point Reserve and commanding sweeping views across Fannie Bay to the skyline of Darwin city, we can provide the ideal backdrop for your special day. 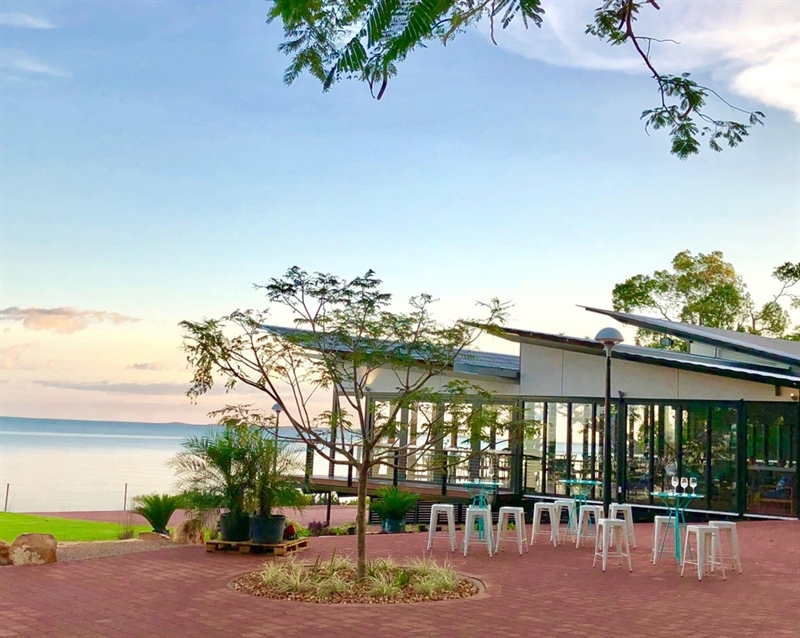 Enjoy elegant dining under Darwin’s tropical skies as our team of hospitality professionals provides you with the highest level of food and service. For more information, call (08) 8981 6868.